Another new addition for Galatasaray. American sharpshooter Jon Diebler will join the “Cimbom”, as his agent, Misko Raznatovic announced. Another new addition for Galatasaray. American sharpshooter Jon Diebler now joins the “Cimbom“, as his agent, Misko Raznatovic announced. 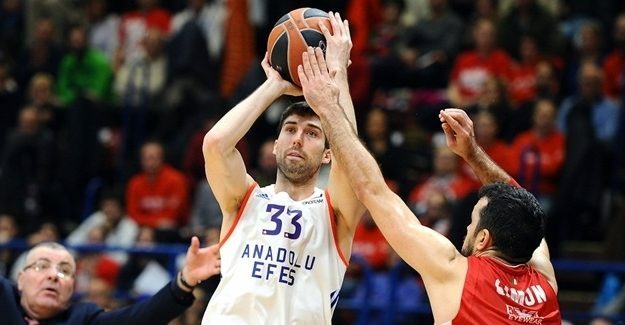 One of the best three-point snipers in Europe, Diebler shot 52/105 from downtown last year in Euroleague, with Anadolu Efes, while averaging 10.2 points and 2 rebounds per game. He is quite experienced in the Turkish Championship, since he has been playing there for the vast majority of his professional career. In 2015 he won the league and cup title with Pinar Karsiyaka.